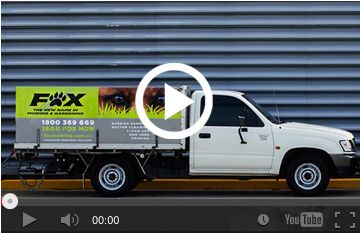 Your local Fox Mowing and gardening professional in Kambah, Canberra is Chris Hinchcliffe. Growing up on property in Murrumbateman, Chris developed a love for the land and a passion for property maintenance. This passion further developed with his working in the transport industry spending 5 years as a driver and transporter for a local turf farm. 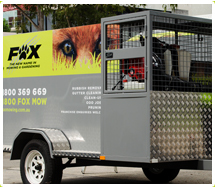 Now as a Fox Chris enjoys spending every day out of doors and receives great satisfaction in helping his clients to maintain and beautify their properties, turning overgrown yards and gardens into attractive and usable areas for their families to enjoy. Chris has the skills to be able to perform a wide variety of services including lawn mowing, lawn care, gardening, weeding, hedging, mulching, fertilizing, turf laying, garden cleanups, gutter cleaning, general property maintenance and rubbish removal services. Chris’s love of gardening and attention to detail ensures that he completes each job with the utmost quality and professionalism. In all tasks performed whether a large garden cleanup or a small lawn mowing and edging service Chris performs all work to the highest standard so that his clients are always happy with the finished job. Chris services the area around Kambah, Oxley, Wanniassa, Monash, Gowrie, Fadden, MacArthur, Chisholm, Gilmore, Hume, Richardson, Calwell, Isabella Plains, Bonython, Gordon, Theodore, Conder, Banks, Tuggeranong, Fisher, Chapman, Waramanga, Stirling, Rivett, Weston Creek, Weston, Holder, Duffy, Wright, Coombs, Torrens, Farrer, Isaacs, Mawson, Pearce, Chifley, Phillip, O’Malley, Garran, Woden Valley, Lyons, Hughes, Curtin, Red Hill, Narrabundah, Griffith, Forrest, Deakin, Kingston, Canberra, Fyshwick, Symonston, Yarralumia, Pialligo and surrounding suburbs. In his spare time Chris enjoys motorbike riding, football and spending time with family and friends.